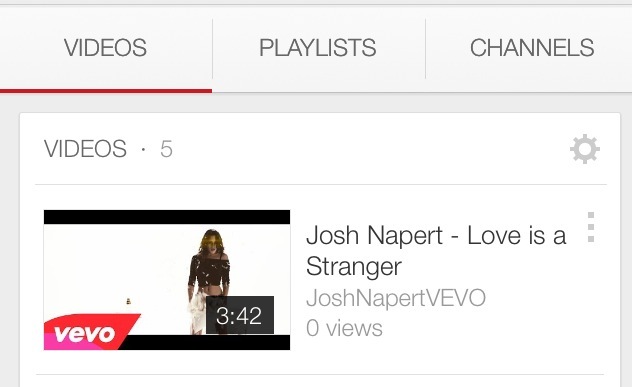 The music video for “Love Is a Stranger” is now officially on VEVO! VEVO is a high quality music video that regulates who can have their videos uploaded. Unlike YouTube, where anyone can upload, VEVO wants to keep the videos limited to well known artists. VEVO has a partnership with YouTube, allowing the videos to be found when searched. This makes it easy for fans to identify the official video on YouTube from their favorite artists and see it in the highest quality, rather than getting search results for hundreds of videos uploaded by fans which are lower quality and may or may not be the right video. GET THIS SONG FREE – Join Josh’s mailing list and get this song for FREE.